How Racism and Segregation has affected the United States. Home 2018 March 5 How Racism and Segregation has affected the United States. Racists ideas have been passed down for many generations. These ideas were started with slavery, then Jim Crow Laws, and the mistreatment and idea that white people are still the superior race. Slavery began the idea that the white person is superior to those of all other races. It suggested the idea that the African were just objects and not actual human beings. Even with the abolition of slavery it did not end the idea of slavery. 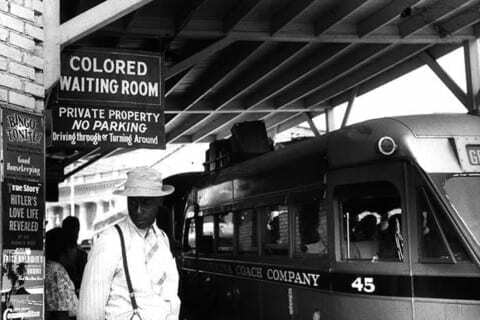 As we progressed into a more civilized world the Jim Crow Laws came into existence. Another set of laws put in place to make life harder for the African American people. An article named, Racism and Its Effect on Society, by Liz Treadwell is quoted saying, “Jim Crow sent a message that whites were superior to other races, particularly the black race, in all ways, including behavior, intelligence, morality, and social status.” It degregaded other races. Even in today’s world we have a number of quotes from the President of the United States that are extremely degrading to the minorities within the United States, Donald Trump. He is quoted saying to his black voters “ “You’re living in poverty; your schools are no good; you have no jobs.” This degrades the African American race. Racism is a very complicated thing and it is not easy to distinguish in certain situations. Many people can be totally unaware to the idea that they are acting in a racist way. The generations of racism has work it’s way into certain people everyday lives whether they know it or not. It is also very complicated because there is so many ways in which a person can perceive a racist act. One action can be racist to a certain person but not to another person. There is also a number of different forms of racism that a person can use. Racism is going to be around for a long time and we need to find a way to quiet these ideas. How Racism and Segregation has affected the United States. by Zachary is licensed under a Creative Commons Attribution-ShareAlike 4.0 International License. This was a very well written article, and I hope to read more from you in the future.